2016 Engineering Academic Challenge is currently underway! We are pleased to announce that the 2016 Engineering Academic Challenge is currently underway! The game began on October 10th and runs for five weeks, with a new set of questions each week. Details on the game and the prizes you can win are provided below. What is the Engineering Academic Challenge? 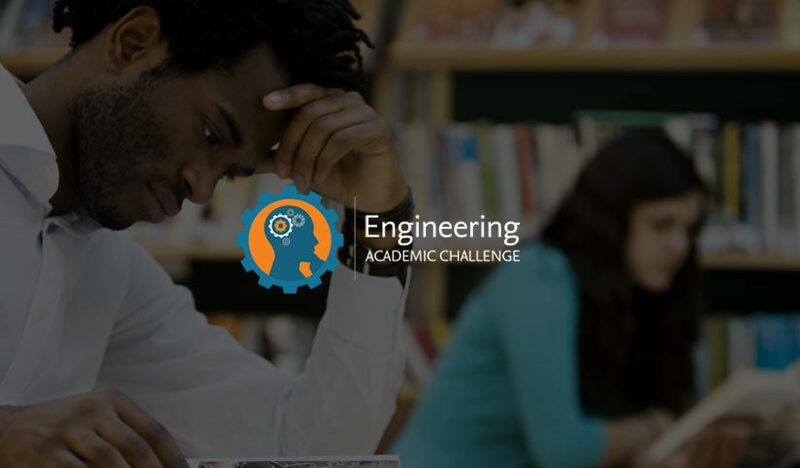 The Engineering Academic Challenge is a 5-week immersive problem-set based competition built around 5 trending themes for engineers, including Future of Energy, Future of Making, and Future of Medicine. A new Challenge will be posted weekly for 5 weeks, and you will be asked to search for and submit your answers using engineering databases UB subscribes to. Your Challenge is to answer all of the questions correctly with the highest accuracy of that week’s participants. Every Monday at 9am GMT, new problem sets will go live in the game. Each week, you will be able to log in with your Engineering Academic Challenge login and password once you have registered and solve that week’s multiple choice problem-sets with direct links to engineering databases accessible from within the game interface. What search tool(s) can I use? You will have access to Engineering Village’s Compendex database and to Knovel from within the game interface; you will not be able to access any other search tools from within the Challenge platform. How do I search for and answer questions? Once you begin a Challenge, you’ll notice a Knovel or Engineering Village button on the upper right that opens that platform where you can conduct your research. Once you have found the answer you want to submit, click on “Back to Challenge” and submit your answer. Can I compete as an individual or as part of a team? You can play the Challenge individually. Or, after you have registered, you can create a team and invite fellow students to join it. Players will be awarded 100 points for every correct answer PLUS the time remaining in the Challenge in minutes and seconds. Keep in mind that each Challenge has a time limit of 60 mins. So, for example, if you answer 5 questions correctly in 20 mins and 30 seconds, your total score would be: 500 + 39 mins, 30 seconds = 539.30 points. Speed counts, but accuracy is key! How do I know what my score is? After you complete the weekly Challenge, you will see your point total for that Challenge immediately, but not the answers. Answers will be emailed to all players at the end of the week’s Challenge, so that the answers can’t be shared among players during the week. You’ll also be able to see your individual and cumulative Challenge scores on the Leaderboard after each Challenge. How will I know if I am winner? Your username and uploaded photo will be posted on the leaderboard. – 1st Place Prize: get the highest accumulation of points at the end of The Challenge and receive an Apple iPad. – 2nd Place Prize: get the second highest accumulated score at the end of The Challenge and receive a SONOS Speaker.